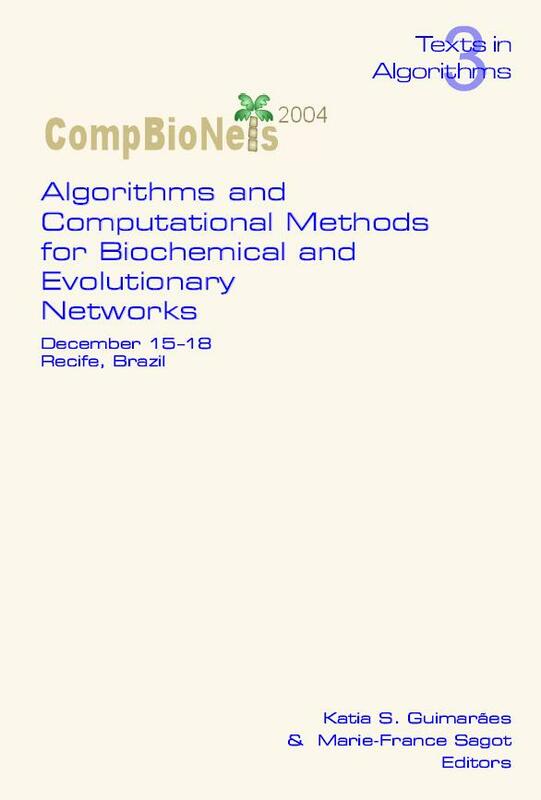 This volume contains the proceedings of CompBioNets 2004, "Algorithms and Computational Methods for Biochemical and Evolutionary Networks", which was held on December 15-18 in Recife, Brazil. Submitted papers were selected by an international Program Committee of twenty members. Among the main topics covered by the Conference are computational biology in general, genetic regulation, motifs, metabolism, protein-protein interaction,biochemical networks, protein function and structure, genome dynamics, genome rearrangements, and comparative genomics. The program also included highranking invited talks. CompBioNets 2004 received financial and scientific support from CAPES, which is an agency from the Brazilian Ministry of Education, from COFECUB, a program from the French Ministry of Foreign Affairs, and from the French Consulate in Recife.